1879-1939. 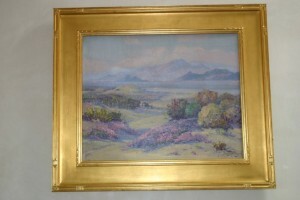 Early California artist known for his paintings of deserts and the Southwest. 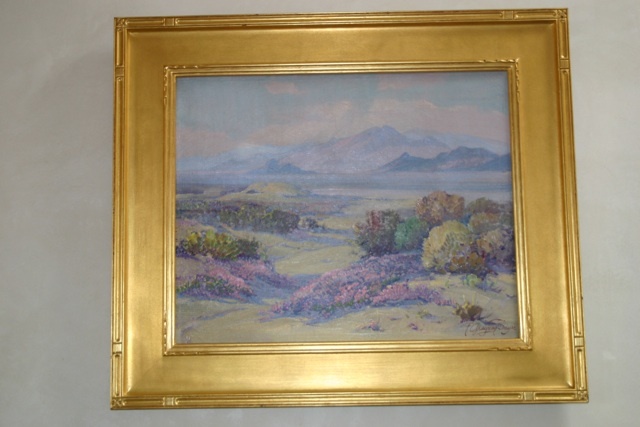 This painting is very colorful for a desert painting with spring shown in full beautiful desert bloom. Nicely carved wooden frame with gold leaf finish. Signed. 26 3/4″ w x 22 3/4″h in frame. 20″w x 16″h image.